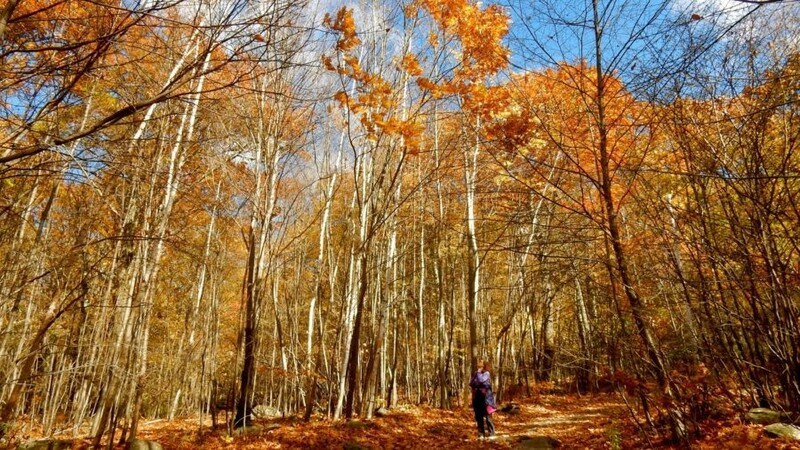 HIKE: Overlook Mountain Trail, Bearsville. 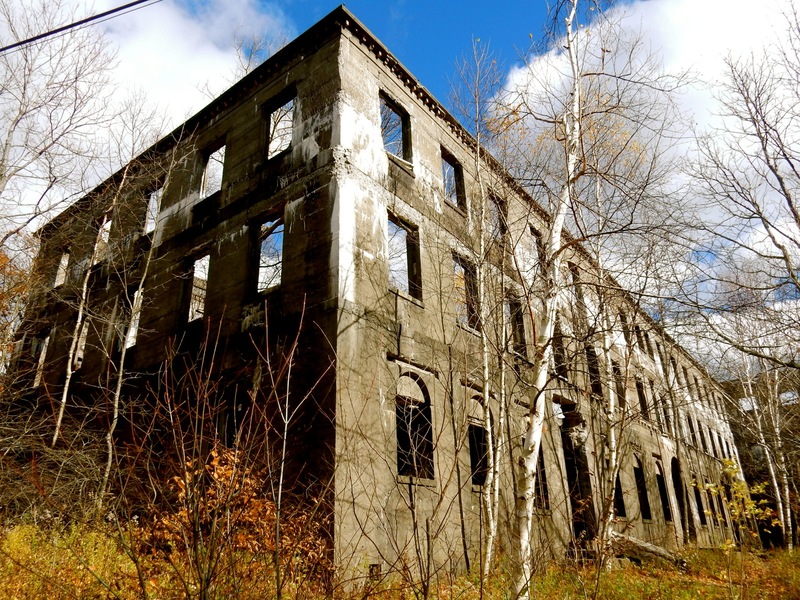 You’ll find the trailhead of this 5 mile roundtrip hike a few miles from downtown Woodstock, and though the 2.5 mile climb up is unrelenting, it is worth it to wander through the ruins of a 1940 concrete hotel that was never finished. No big surprise: though the wide carriage road is now well-trodden by serious hikers, it would have been all but impossible to bring hotel guests and their luggage up the rocky, forested path, especially off-season. The ruins are 2 miles up – but push on another half a mile to the fire tower and commanding views of the mountains. Be prepared to be blown away, literally and figuratively. It’s VERY windy up there! There are a few parking spots at the trailhead, so you may be so inclined to park on the mountain road. Just be aware that the police will ticket those cars. 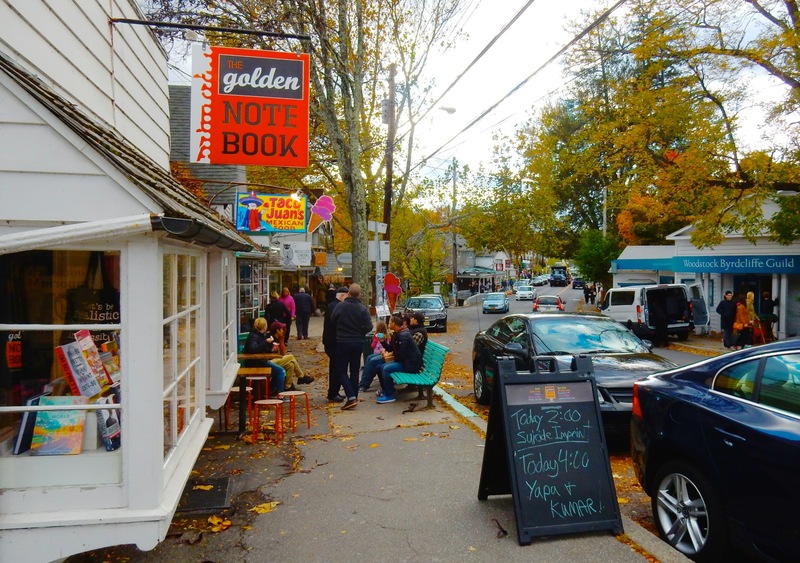 SHOP/WANDER: Downtown Woodstock. Naturally, head shops abound. But so do boutiques, gift shops (heavy on crystals), art and photography guilds, and galleries. 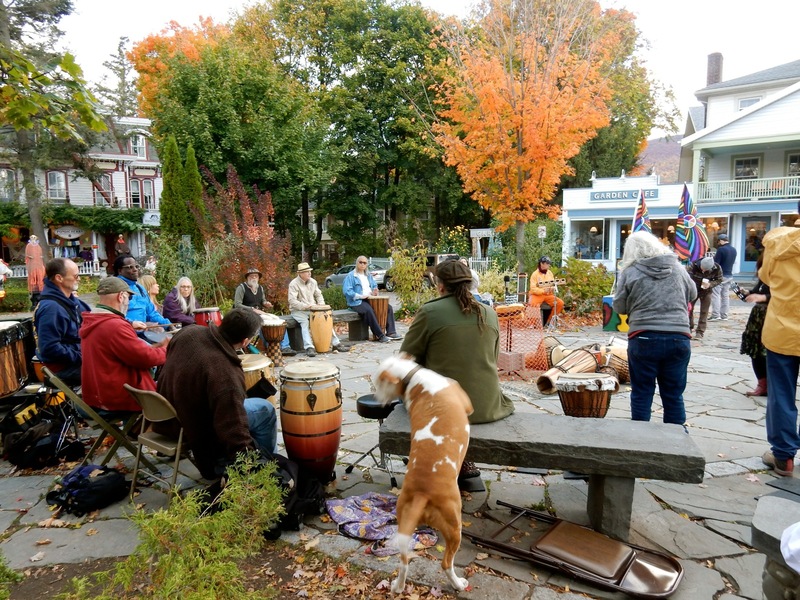 PARTICIPATE: Drum Circle on Woodstock Village Green. Old hippies don’t die. 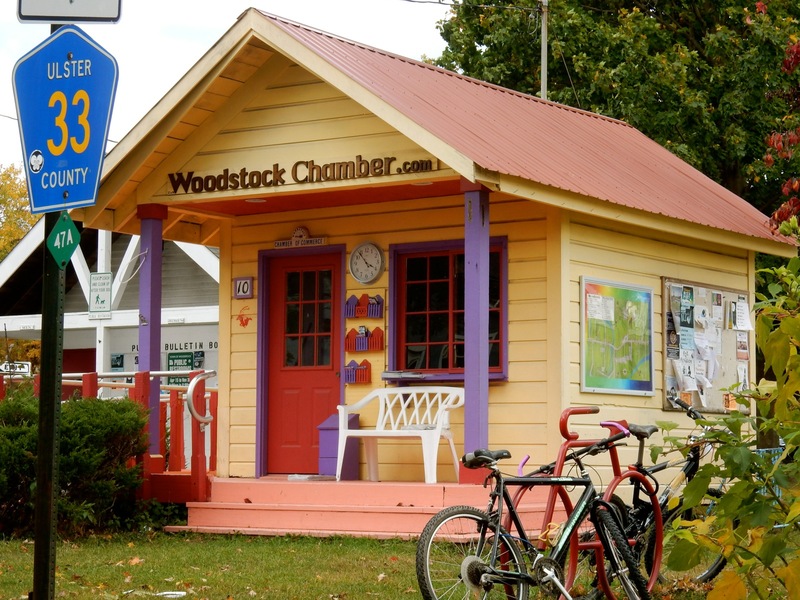 They just go to Woodstock. So, join up if you just so happen to be in town on Sunday between 4-6pm. A percussive treat. SEE: The World’s Largest Kaleidoscope, at Emerson Resort and Spa, Mt. Tremper. Experience this 60 ft tall mind-bending vibrating, pulsating, audio-visual extravaganza either tilted slightly on padded boards or on your back. You’ll end up on the floor – it’s the better of two choices for viewing the trippy ten-minute cavalcade of outer space and “we are all stardust” images. 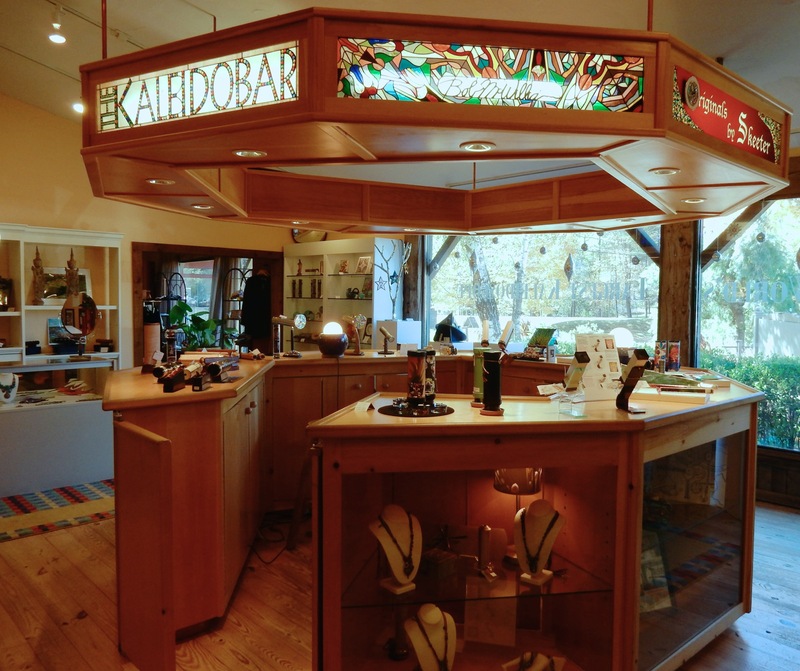 When done, doors open onto the Kaleidoscope shop, where, primed, you can purchase any type from cardboard ($3.95) to amazing art pieces (many $thousands), most in the $50-$500 range. 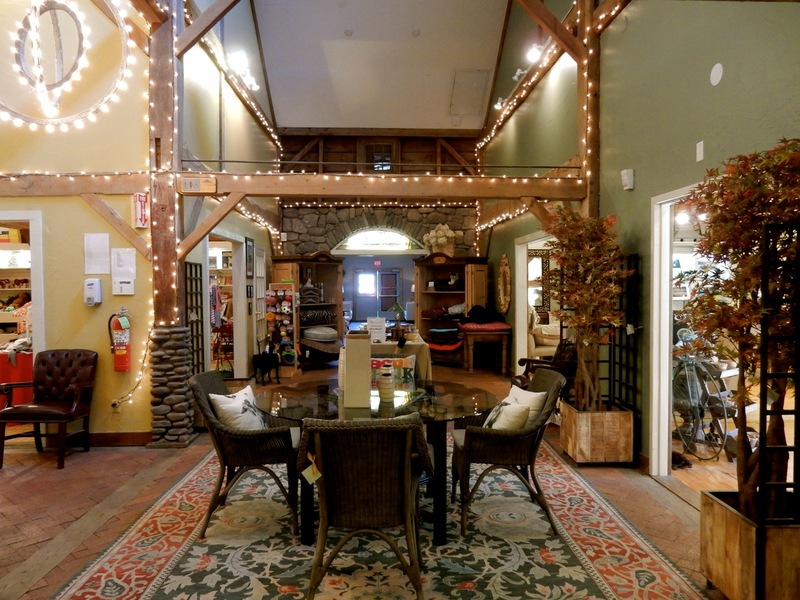 On Emerson Resort property in the Country Store, it’s free for guests and $5 for walk-ins. DO/Winter: X-Counry Ski or Go Snowshoeing. Rent X-Country skis or snowshoes at the Emerson Country Store and glide outside on site; no need to get in your car. Even rookies will be exhilarated by the bracing mountain air and looming hills without having to worry about surprise descents or getting lost. DO/Winter; Ski at Bellayre Mountain. It’s the least crowded with conditions equal to several area ski resorts and just a fifteen-minute drive from Phoenicia. If you happen to go Monday – Friday, you’ll quite possibly have the place to yourself. (Lift tickets $54 midweek, $66 weekends). 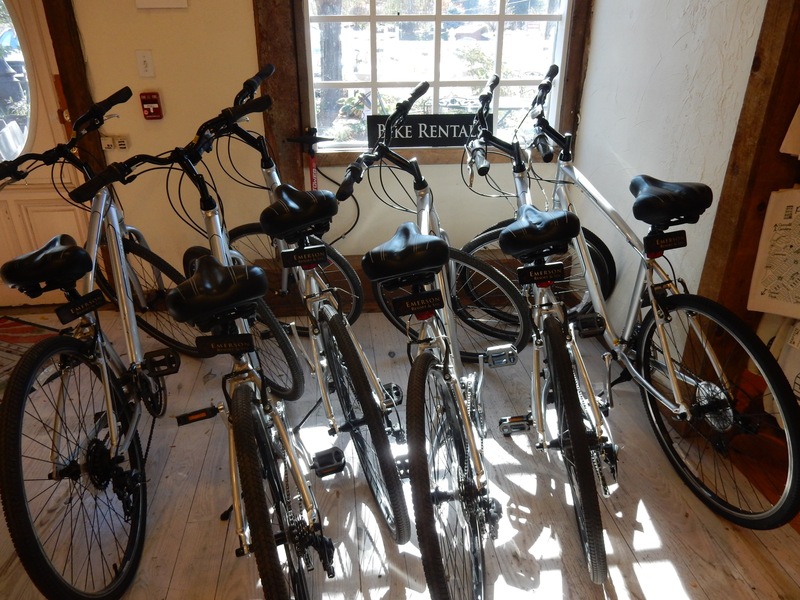 DO/Summer: Rent a bike @ Emerson Resort – or bring your own…. if you’ve got the thigh power. These hills are not for sissies. DO/Summer; Go Tubing @Town Tinker Tube Rentals. Ride the riffles on Esopus Creek. Several times a year, tubing enthusiasts ride just-released water down shoots and rocky rapids. This is not a meandering Disney Ride, but a sure bet for teens or your inner child. You may be lashed by river rocks and possible debris, so bring or rent water shoes. DO: Get a Spa Treatment @ Emerson Spa. Candle-lit treatment rooms are equipped with heated, ergonomic beds that lull you into a relaxed state even before healing hands begin. My favorite treatment is the Ayurvedic Oil Scalp Massage, which does for the neck and scalp what Reflexology does for the feet. This 30 minute mini-vacation will send you into cranial nirvana, and leave your hair dripping with nourishing, liquorice-scented oils ($80). SHOP: The Emerson Country Stores, Mt. Tremper. More like an enclosed mall, these series of shops in a former dairy barn can take up a good part of a morning to peruse. An indoor brick-lined walkway takes you through clothing, pet, gourmet food (including a rack of penny-candy jars) and house-wares shops; and the piece-de resistance – a Kaleidoscope Store where you’ll find every conceivable permutation of the rainbow-hued light bending toy. 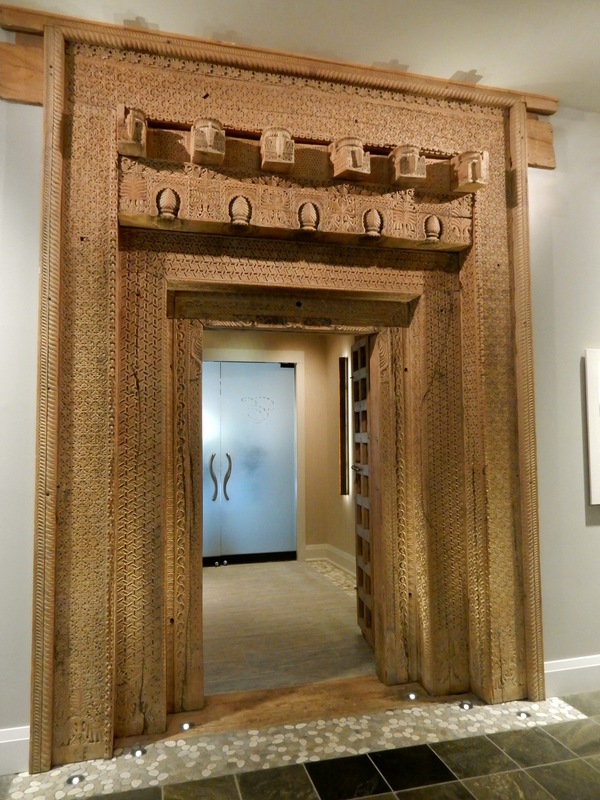 SHOP: Main Street Phoenicia. Downtown Phoenicia is blessedly free of franchise stores. 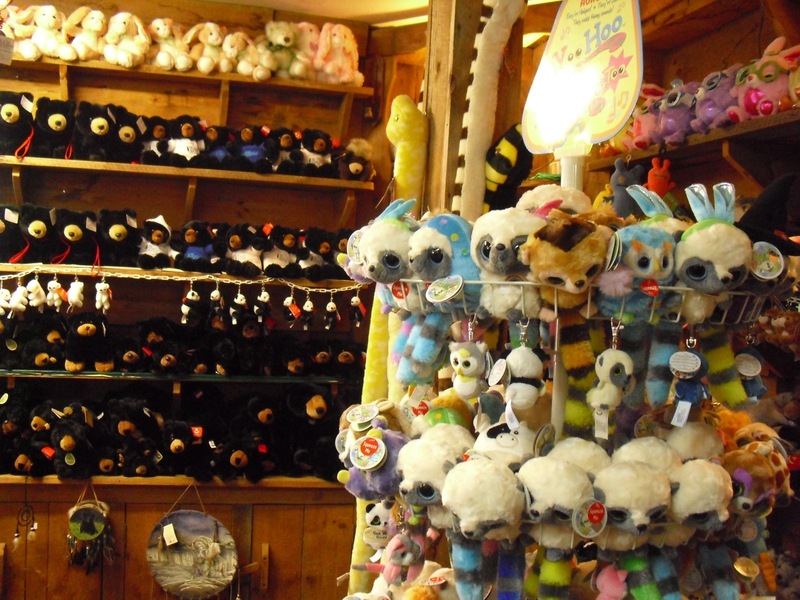 You’ll find fudge, toys, souvenirs and stuffed animals of every size and shape at The Nest Egg, and find well-priced jewelry, crafts and cool house wares at Tender Land Home – which has also been noted for offering the best gift-wrapping anywhere. FAMOUS FESTIVAL: Phoenicia International Festival of the Voice. First week of August. From the website; “The Phoenicia International Festival of the Voice promotes the human voice as an instrument of healing, peace and artistic expression through presenting world class performances in Phoenicia, New York and surrounding areas. From opera to gospel, world music to Broadway, the Festival celebrates the human voice in all its multi-faceted glory.” Venues range from tents to churches, and last year (its 4th) brought over 5,000 concertgoers. EAT: Woodnotes Grill at Emerson Resort and Spa, Mt Tremper. This is true stream-woods-farm-to-fork fare, described as “Catskill Creative Cooking,” inspired by the Hudson Valley, and worthy of a top-notch inn. 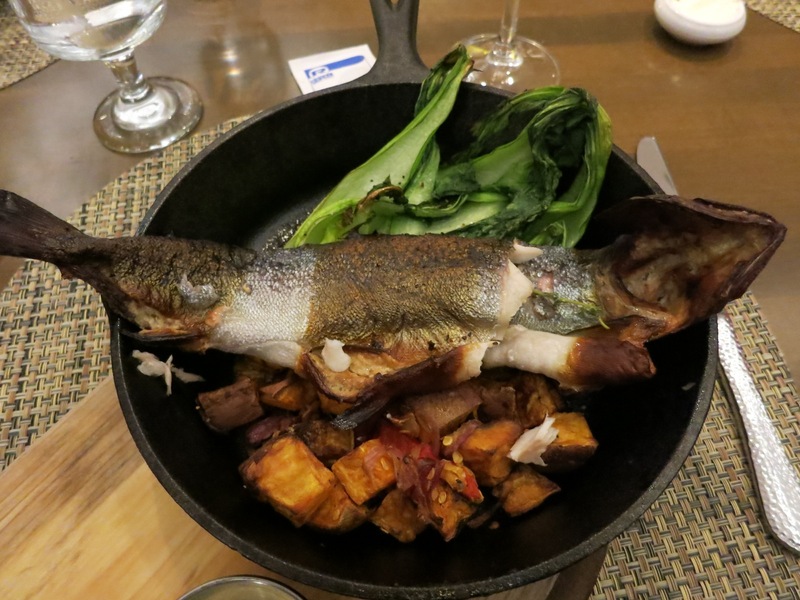 To whit: the delightful to eat smoked trout, plated in a cast iron skillet over cubes of seared sweet potato and wilted bok choy. Though the menu changes often, you can be assured of an outstanding meal, even if you’re vegetarian. EAT/Breakfast, Lunch: Phoenicia Diner, Phoenicia. 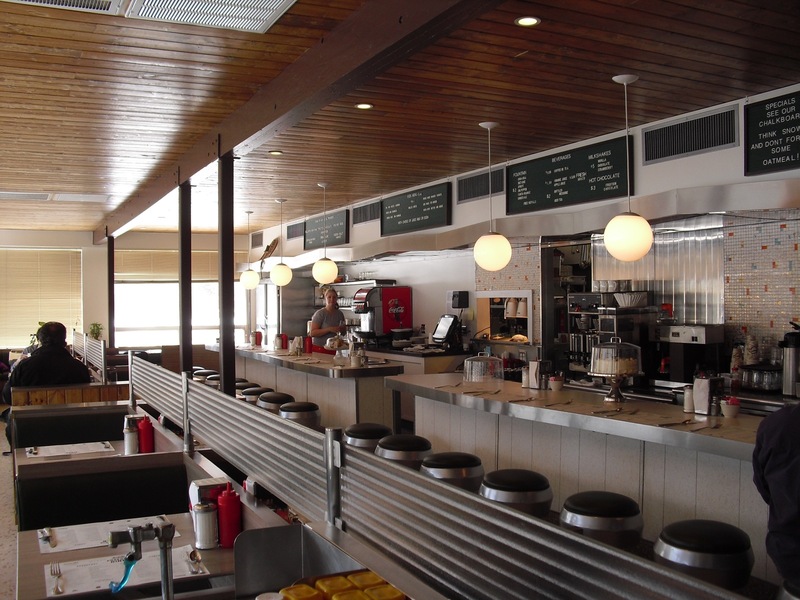 Find “Farm to Counter” food at the fine, silver Phoenicia Diner, where you’ll usually have to wait an hour or more on weekends. All ingredients are sourced from the Catskills and Hudson River Valley, and expertly flamed, roasted, grilled and otherwise prepared. Not your typical diner, this one serves up “Grilled Veggie Sandwich with White Bean Puree and Herb Pesto,” ($8), which doesn’t even begin to express the satisfying crusty-chewiness of the roll, and the perfect carmalization of its slabs of zucchini, mushrooms and onions. Burgers are “Grass Fed” (which begs the question; how do you feed a burger? ), and equally fresh. It’s easy to rush by on Route 28, but take my word for it and stop in for a bite. PICNIC: Emerson Café at Emerson Resort, Mt. Tremper. Arrange for a backpack full of wine and cheese, sandwiches, or anything you choose at Emerson Resort’s Country Store Café. Price varies. EAT: Brio’s, Phoenicia. Strangely, this tiny-town casual wood-fire oven spot has won raves from New Yorkers, Jersey Guys and other hard-core pizza connoisseurs. It’s one of the top restaurants in town, and the perfect ending to a day on the slopes, mountains or river. In the summer, patrons jockey for a outside patio table. In or out, the pizza is good, and the service – down-home warm. RECHARGE: Momma’s Boy, Phoenicia. The anti-Starbucks. 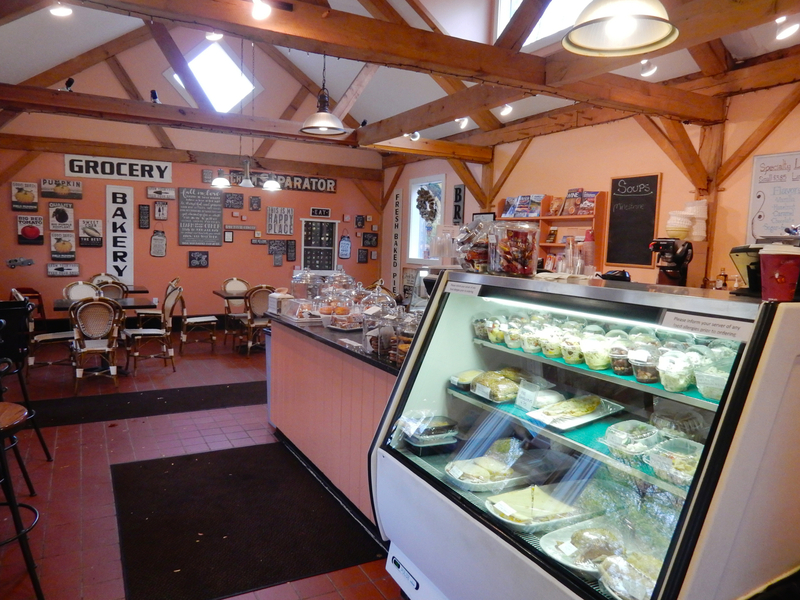 If you find yourself flagging after a day tubing on the river, stop in here for a pick-me-up coffee and homemade cookie. Where To Stay In Southern Catskills. STAY/Luxury: Emerson Resort and Spa. Named after poet Ralph Waldo Emerson, excerpts of his poems can be seen throughout the just-renovated property. This luxury inn is a Maven Favorite and has warranted its own complete write-up HERE. STAY/Cozy; Phoenicia Belle B&B. 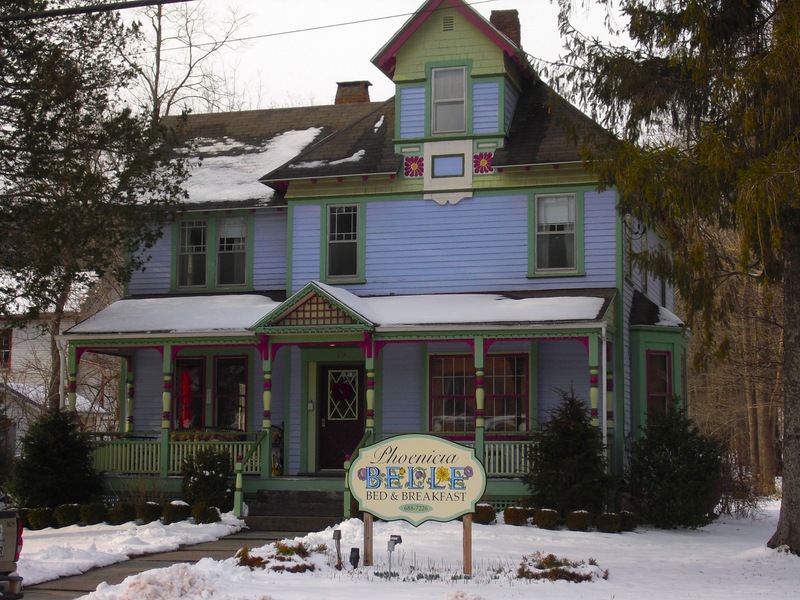 If your lodging taste runs toward the smaller, cozy B&B, you won’t find a prettier one around. Right in downtown Phoenicia, The 5-room Belle places you within steps of shops and restaurants. $100-$175 per night. STAY/Hip: The Graham & Co. Motel; Newly minted, contrived for a hipster clientele, this minimalist redo of a mom and pop motel brings pork-pie hats to Phoenicia. Rooms are Spartan, but clean and comfy. Guests love the Garage Bar, pool, free bikes and outdoor movies in the summer. $165-$185 per night. Come to the 6th annual Shnadaken Art Studio Tour on July 20-21. over 30 studios, galleries, events, openings and outdoor sculpture spaces. I’m so surprised this article neglected to mention this excellent tour! By thhe way, how can we keep up a correspondence? I love to travel and to explore different places. Great pictures and tips on things to do in the area, thanks for sharing!